Fleet management company LeasePlan Canada and vehicle inspection company Alliance Inspection Management say they are committed to providing Canada with vehicle condition reports for commercial fleets to increase the transparency and trust in transactions. A new partnership between those two companies reflects a continuation of that commitment. LeasePlan Canada has selected AiM for off-lease inspections as part of the companies’ move to expand their presence within the Canadian market. LeasePlan Canada contributes to the company’s worldwide operations of more than 1.8 million vehicles across 32 countries. AiM has performed more than 90 million vehicle inspections for auto manufacturers, rental fleets, dealers, auction companies, finance companies and consumers for the past nine years. AiM also provides floor plan audits, dealer inspections, and new car and auction inspections in Canada. A new strategic partnership and technology-sharing agreement means Canadian automotive retailers advertising their inventory on TRADER Corp.’s automotive marketplace will have access to a new car image library featuring professionally produced photos for most major OEM new vehicles. The agreement between TRADER Corp. and Car Media 2.0 will provide TRADER customers access to the Car Media 2.0 New Car Image Library and video features. TRADER Corp. is a digital marketing partner for Canadian automotive retailers and manufacturers. Auto retailers advertising on the autoTRADER.ca marketplace will have access to new vehicle images, captured uniquely, seasonally adjusted and with backgrounds replaced. The vehicles are categorized by year, make, model, trim and color. TRADER will also replace its legacy video offering with complete video offerings for automotive OEMs and retailers across Canada. Car Vids 2.0, an advanced video platform developed by Car Media 2.0, will power the new product. It will feature customized and automated video content. “This new relationship affords access to automated, streamlined tools for TRADER customers to improve their new car merchandising efforts and enhance the new car shopping experience for Canadian consumers.” Car Media 2.0 head of accounts and strategic partnerships Randy Price said in a news release. OpenRoad Auto Group has a long history with Toyota. The group began its partnership with the automaker in 1978, when the company opened its first Toyota showroom on Granville Avenue in Richmond. The dealership in 1985 moved to its current Richmond Auto Mall location and renamed it OpenRoad Toyota Richmond. The dealership group went on to acquire two more Toyota dealerships. On Jan. 22, OpenRoad announced the acquisition of its fourth British Columbia Toyota dealership and 28th automotive retail location, Peace Arch Toyota in South Surrey. In other Canadian dealership news, Mercedes-Benz Canada named its 2019 Star Dealers, which are the group’s top 11 dealerships among the company’s national network of 59 retail locations. Regarding the OpenRoad news, the auto group is singing the praises of Peace Arch Toyota, noting that under the Vines family leadership, the dealership earned Toyota’s highest honor for excellence in customer service, sales volumes and market penetration. OpenRoad also noted that Peace Arch has earned the President’s Program Award five times. But the praise doesn’t stop there. OpenRoad emphasizes Peace Arch Toyota’s charitable reputation in the community for its many donations to the Special Olympics, the Canada Cup Softball Tournament and the Peace Arch Hospital Foundation. As the new owners of Peace Arch Toyota, OpenRoad says it plans to continue those traditions. The company is currently building what will be the new home of OpenRoad Toyota Richmond, and OpenRoad say it will become Canada’s largest Toyota dealership. The company is calling it an “impressive 205,000 square foot, mega facility” that it says will incorporate the most advanced technological features and environmental systems. while housing the country’s largest Toyota showroom and service centre. The new OpenRoad Toyota Richmond dealership is expected to open in late 2019. Openroad will soon rebrand Peace Arch Toyota as OpenRoad Toyota Peace Arch, which will also feature OpenRoad’s Club OpenRoad loyalty program. For Mercedes-Benz Canada, the dealership notes that its 2019 Star Dealers, over the course of the 2018 calendar year, must have shown outstanding performance in new and pre-owned sales and service and parts, in addition to exceptional customer service satisfaction. The Star Dealer designation was first introduced in 1999. A new dedicated business development center will offer a tailored product for the AutoCanada group using DealerMine CRM’s Service CRM application to increase service department traffic at AutoCanada's Canadian dealerships. The center is the result of a strategic partnership between AutoCanada Inc. and DealerMine CRM to establish a dedicated business development center for AutoCanada's Canadian dealerships. The two companies announced the formation of the partnership on Thursday. 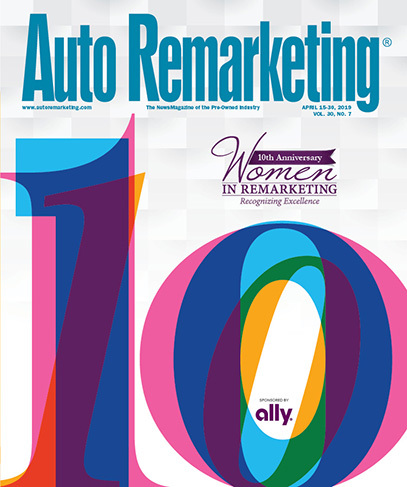 AutoCanada currently operates 68 franchised dealerships with 28 brands in Canada and in Illinois in the United States. DealerMine CRM, a subsidiary of Quorum Information Services Inc., will operate the AutoCanada business development center in dedicated facilities from its headquarters in Saint John, New Brunswick. A staff of 85 people will work for the center. DealerMine works to help dealerships increase revenues and profitability through data mining, multi-channel marketing OEM integrations and BDC operations. “The establishment of the business development center is a key step of our Go-Forward Plan and will increase occupancy levels in our service departments," Michael Rawluk, president of AutoCanada, said in a news release. “Our partnership will allow DealerMine CRM to offer a robust and tailored solution for AutoCanada, while continuing to focus on driving more sales to their service departments,” Robert Quirion, chief executive officer of DealerMine CRM, said in a news release. Kijiji Autos, a digital destination that includes a website and app for helping Canadians find new or used, private or dealer, cars and trucks, formed an exclusive partnership with The Car Girls, a female-led organization that will provide additional communications and account-specific support to Kijiji Autos’ business. The Car Girls provides sales-driven services for automotive dealerships through their business development center capabilities. The partnership with Kijiji Autos will focus on providing customer contact support, as well as additional regional sales support in smaller markets where Kijiji Autos does not currently have dedicated team members. This partnership will also use The Car Girls’ various services — including marketing consulting, customer service and staff training, as well as their experience and understanding about dealerships — to onboard new dealers and support their needs throughout the Kijiji Autos offering process. The Saskatoon, Saskatchewan-based FFUN Group has equipped 10 of its franchise dealerships with Dealertrack digital retailing tools. Dealertrack Canada announced Wednesday that FFUN Group customers can now take advantage of Dealertrack digital retailing online shopping tools both online and in-store. Dealertrack digital retailing tools can help dealers understand their ROI by following a customer from an online advertisement or organic search all the way to the final sale in the Dealertrack portal, using cross-domain tracking with Google Analytics, according to Dealertrack. “Additionally, Dealertrack Digital Retailing keeps consumers on the vehicle display page on the dealer’s website, increasing the users’ time on both site and engagement,” Dealertrack said. Furthermore, the FFUN Group’s recent move to employ Dealertrack digital retailing tools stems from the group’s customer-centric approach to business, according to Dealertrack. “Dealertrack’s breadth of services and access to data, supported by Cox Automotive Canada, makes us uniquely positioned to provide dealers like the FFUN Group with both services and insights,” said Richard Evans, vice president and general manager at Dealertrack Canada. “FFUN Group customers also benefit from Dealertrack Digital Retailing connecting directly to the Dealertrack Portal, which is the lending portal in most OEM digital retailing experiences in Canada today,” Evans said. The FFUN Group currently represents brands Acura, Dodge, Chrysler, Hyundai, Ford and Kia. In an effort to help enhance consumers’ shopping experiences, CARPROOF vehicle history reports have been integrated into Contact At Once’s conversational commerce automotive platform. The new integration gives agents the ability to share CARPROOF information and content with consumers from within the Connect platform, the companies announced Thursday. CAO’s Connect platform allows consumers to message with sales or service agents from media sources including online advertising, social sites and dealership or OEM websites. Dealership agents can now share information from CARPROOF and CARFAX via either the Connect platform’s chat or text conversation window, according to the news release. Two well-known names in the financial services arena in Canada will continue to collaborate. Equifax Canada recently announced that it has extended a long-standing partnership with FICO to distribute FICO scores to lenders and other businesses in Canada. Building on a partnership of nearly 30 years, the companies highlighted that the agreement renews a commitment that the two firms will continue working together to develop new innovative analytic solutions for the Canadian market. As part of this renewed agreement, credit scores which have been previously distributed under the brand name BEACON, will now be delivered under the FICO brand name as FICO scores based on Equifax data. FICO Score 8 based on Equifax Data, which was previously called BEACON 9.0, will continue to leverage Equifax mortgage data. It will also continue to provide substantial improvement in predictive power compared to prior scores. “Our continued relationship with FICO underscores Equifax Canada’s dedication to delivering innovative insights to the Canadian market,” said Lisa Nelson, president of Equifax Canada. “The FICO score has served Canadian customers well, and continuing to offer it as part of our product suite ensures we are providing a comprehensive selection of scores that empower our customers to make better business decisions,” Nelson continued. Kevin Deveau, vice president and managing director for FICO Canada, added, “The extension of this agreement ensures that the Canadian market will continue to benefit from one of the most predictive, trusted credit scoring tools for risk management. “The FICO score is a critical part of the lending process in Canada,” Deveau went on to say. Earlier this year, FICO released findings from a global study that uncovered seven trends about Canadians and auto financing. A pair of FICO experts elaborated about the findings in the episode of the Auto Remarketing Podcast that’s available at the end of this report. On Wednesday, Momentuum BPO highlighted that the company strengthened its FileAssure solution through a partnership with Canadian Black Book. Officials explained that trustees using FileAssure across Canada will gain access to client vehicle values via Canadian Black Book’s data set. “We are always listening to the needs of the insolvency industry and looking for ways to enhance their experience through our technology, because we fully understand how valuable time is for a trustee,” Momentuum president Matt Yeatman said. “A vehicle’s value is a key piece of the client’s financial situation, and we wanted to digitize this step to acquire accurate values and integrate them into our platform easily,” Yeatman continued. The addition of Canadian Black Book values to FileAssure will enable instant access this valuation data much earlier in the process during the client intake step. The data will populate directly into the client record, after merely inputting the vehicle VIN or the vehicle year, make, model and trim level. More specifics, such as vehicle mileage or equipment and options can be input to fine-tune value accuracy. FileAssure leverages data partnerships from a variety of reliable sources. The company insisted this process can ensure that trustees have the best information during client onboarding, as well as providing that information when it is needed to streamline workflow. At its core, the system can capture prospects, gather and manage pertinent financial data, communicate and schedule meetings with clients, provide proven digital record management and more. “We have successfully digitized documents in the industry, and now we’ve achieved our goal to systematically program the intake process and provide the Canadian financial restructuring industry with timely, relevant and accurate data as early in the cycle as possible,” Yeatman said. “Our partnership with Canadian Black Book is another example of how by uniting and integrating trusted sources of data FileAssure helps further automate administration for the industry,” he went on to say.